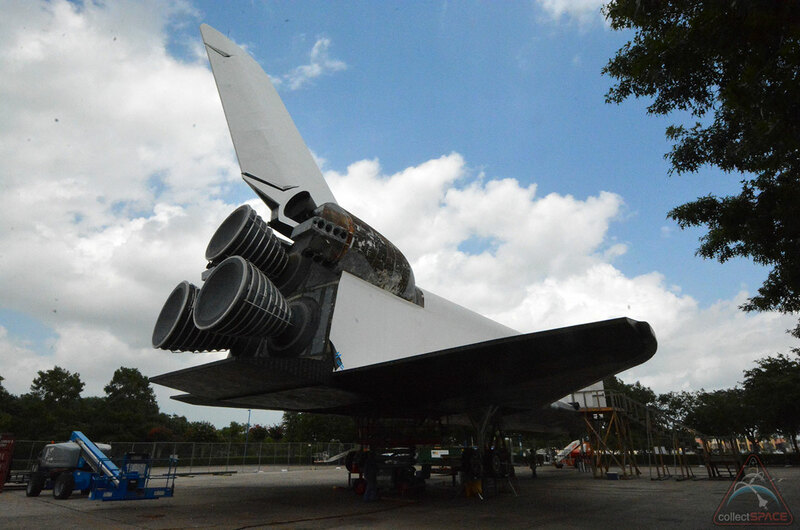 – For the first time, Space Center Houston is offering a look inside its space shuttle Independence. Space Center Houston, the official visitor attraction for the Johnson Space Center in Texas, invited collectSPACE on an exclusive first walkthrough of the newly-upgraded, high-fidelity shuttle replica, before the winged orbiter is hoisted atop NASA's historic Shuttle Carrier Aircraft for display. The 160,000-pound (72,575-kilogram) shuttle mockup is to be lifted by a 180-foot-tall (55 meter) crane and mounted on the back of the modified Boeing 747 jumbo jet on Aug. 14, weather permitting. The six-story exhibit, which Space Center Houston expects to open to the public in 2015, will recreate the way the shuttle orbiters were flown across the country between landing, processing and launch sites. 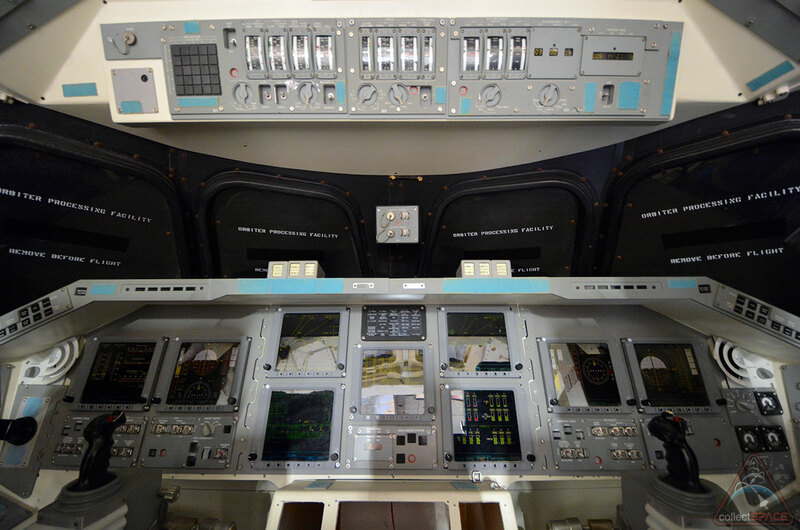 It will also provide visitors the chance to go inside both the aircraft and shuttle. 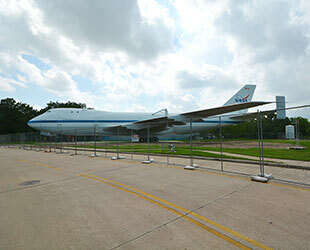 The 747 was transported to Space Center Houston in late April, arriving in several large parts. The jet has now been reassembled, awaiting the addition of just its four engines and interior displays. Independence, which received its name through a Texas-wide contest that kicked off on Independence Day 2013, was previously displayed for 18 years at NASA's Kennedy Space Center in Florida. 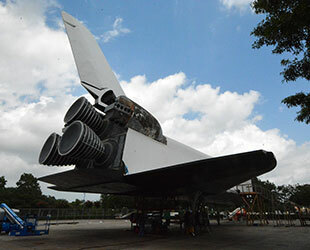 At Space Center Houston since 2012, the full-size mockup is now being renovated inside and out for its new high-profile exhibit. "A lot of work has taken place inside Independence," Paul Spana, exhibits manager at Space Center Houston, said. "The biggest change, for those who have been to Kennedy Space Center and have seen the inside, is that the crew areas are now open to the public, where before they were inaccessible." 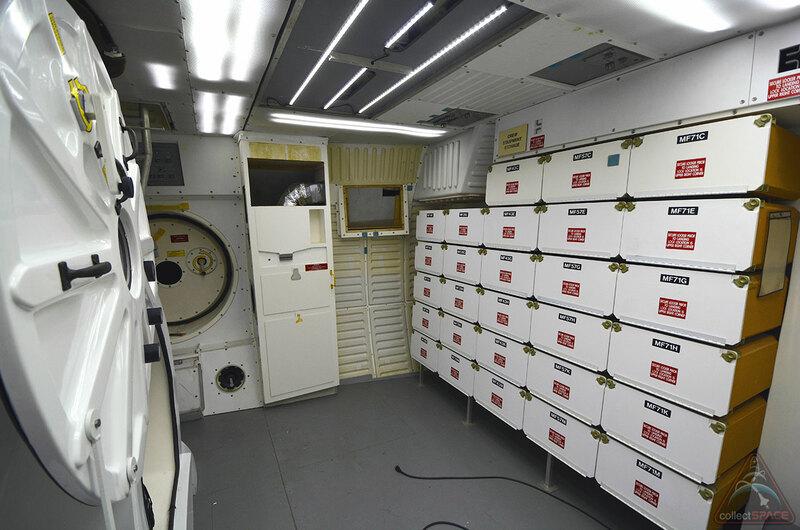 "So, for example, you can actually walk into the mid-deck where the astronauts lived and worked," Spana described in an interview with collectSPACE. "Before it was closed off and you could only view it through a window." 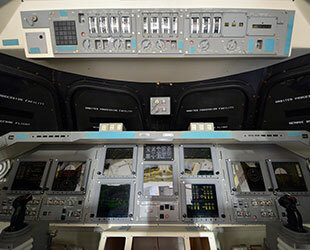 In addition to the exterior being re-skinned, including new replica numbered heat shield tiles, and a reinforced steel frame, Independence has also been upgraded with a new "glass cockpit" like the type the real orbiters were outfitted with toward the end of the 30-year shuttle program. "When the shuttle mockup was first built, it was designed to look like Columbia," Spana explained, referencing the first orbiter to fly. "So we have updated the flight deck with a glass cockpit to reflect the later configurations." The flight deck will also feature a new photo mural, to give guests the chance to pose for photos as if seated at the shuttle's digital-display controls. Independence's mid-deck is getting spruced up displays, too, including an astronaut's spacesuit to fit in the airlock and a possible new food galley. Guests will also be able to walk into the orbiter's payload bay, by way of a newly installed platform, to bring them up close to the actual Intelsat satellite cradle that flew aboard space shuttle Endeavour in 1992. 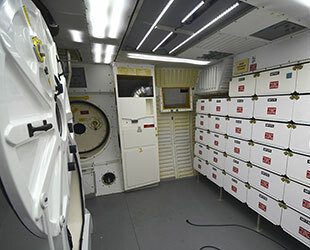 New cases in the cargo bay will offer visitors a look at more authentic artifacts, as well. "A lot of the details, all of the paintable surfaces, all have been painted, everything has been cleaned and everything that was broken is in the process of being repaired now," Spana said. The renovations to Independence's interior will be finished before the mockup is placed on top of the carrier aircraft, known by its tail number, NASA 905. The $12 million project is the largest effort undertaken by the Manned Space Flight Education Foundation, the non-profit behind Space Center Houston. The organization still needs to raise $2.6 million towards the Shuttle/747 Carrier exhibit. 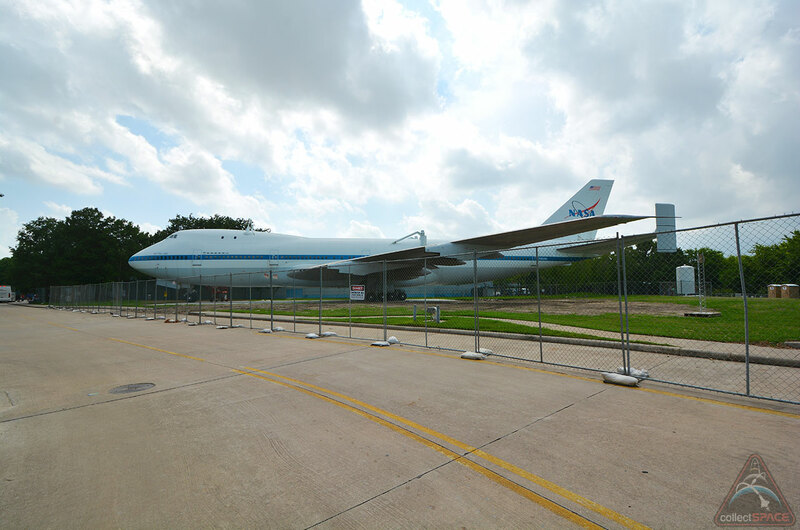 Space Center Houston guests can view the exterior work to Independence during their visits. Currently, the center is hosting "Facing Mars," a new interactive exhibit examining the challenge of sending humans to the Red Planet. The center is also marking Independence Day with a "Rockets Red Glare" celebration featuring combustion demos. Click here for more photos from collectSPACE's first look inside Independence at Space Center Houston.